Hello everyone, on this occasion, I, Linda, am writing this blog update. 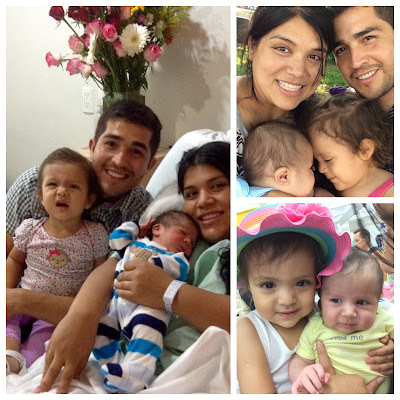 I think that it’s important to share with you a little of our testimony –what God has done, and what he is doing in our family, since there are new people following our blog, new friends and family in the faith. Eduardo was born and raised in Guadalajara. Afterward, he lived in the United States. His life was filled with bad decisions and he didn’t know Christ. 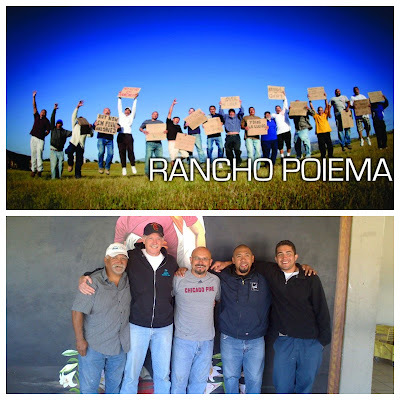 At twenty-four years old, he came to Ensenada, Baja California to Rancho Poema, a place for discipleship. That is where he surrendered his heart to Christ and got to know His love. He is now thirty-one years old and has seven years walking with the Lord. I am from Sonora and since I was a little girl, I had the blessing of growing up in a Christian family. But at the same time, I was a youth who was filled with fears and insecurities and with a great need to have a personal faith. In the year 2011, Eduardo and I met at Calvary Chapel Bible College in Ensenada. The college was a very special place. It is there that we spent two years of our lives getting rooted in our faith and knowing Jesus Christ, our Savior more. This was also where our friendship began. After graduating, we both went to serve in different places. Eduardo returned to Rancho Poema, but now as a leader guiding other men to Jesus. I went to Grace Children’s Home to live as an intern to help take care of the girls and serve in different areas. 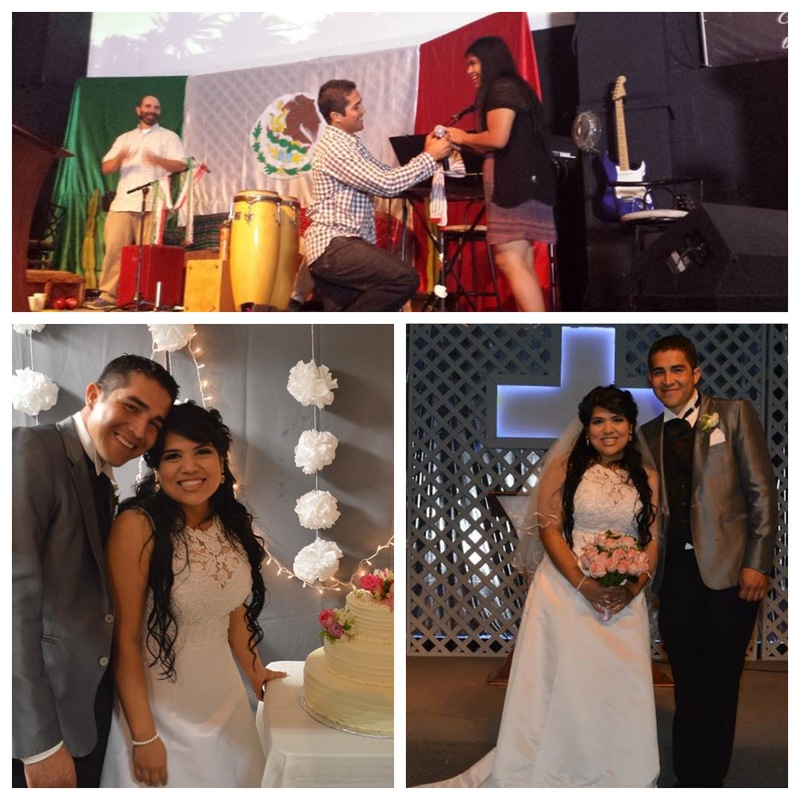 On September 16th of 2013, my best friend, Eduardo, came to visit me at the church and there he proposed!! It was a great surprise, and I said yes!! It was so beautiful to know that I would marry my best friend, with whom I had fallen in love with. Five months later, we had our wedding. It was a very beautiful day, surrounded by our family and friends. 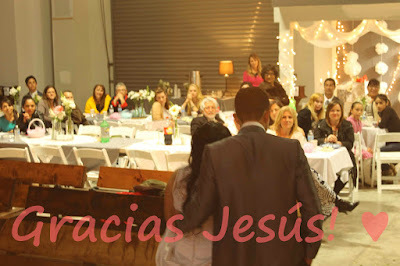 It was incredible the way God blessed us to be able to have such a beautiful wedding. Once married, we served together on staff at Calvary Chapel Rosarito where Eduardo worked as an intern and studied in a one-year class on church planting. He felt the calling to plant a church in Guadalajara, but was waiting on God’s timing. 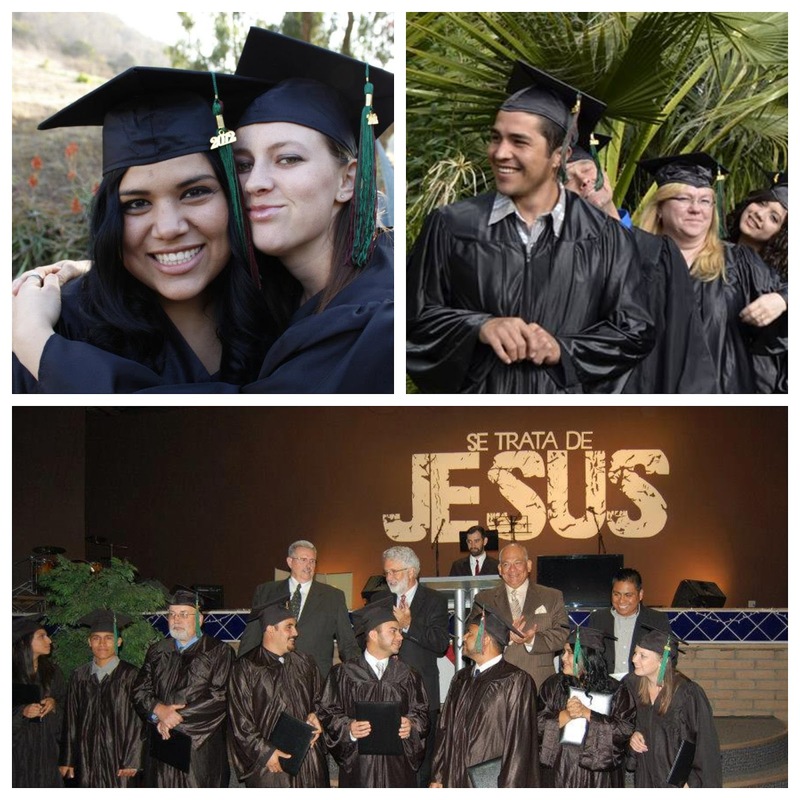 In December of 2014, we were sent as missionaries to Nicaragua to serve in Campo Gonia. Eduardo discipled the young men and worked on different projects, and I helped in the kitchen. Also one of my favorite things to do was feed the chicks. We both enjoyed walking around the field, making friends with the neighbors and sharing with them the hope that we have in Christ. Our time there was a time of preparation for the ministry. We returned to Mexico a little before giving birth to our first daughter, Abigail. Eduardo took another one-year course of church planting and the calling to go to Guadalajara was stronger every day. During this same year, we served full-time together as a family at Grace Children’s Home discipling and serving the kids with all our hearts, knowing that we would only be with them one year. God has given us a very special love for these children and they are always on our hearts and in our prayers. 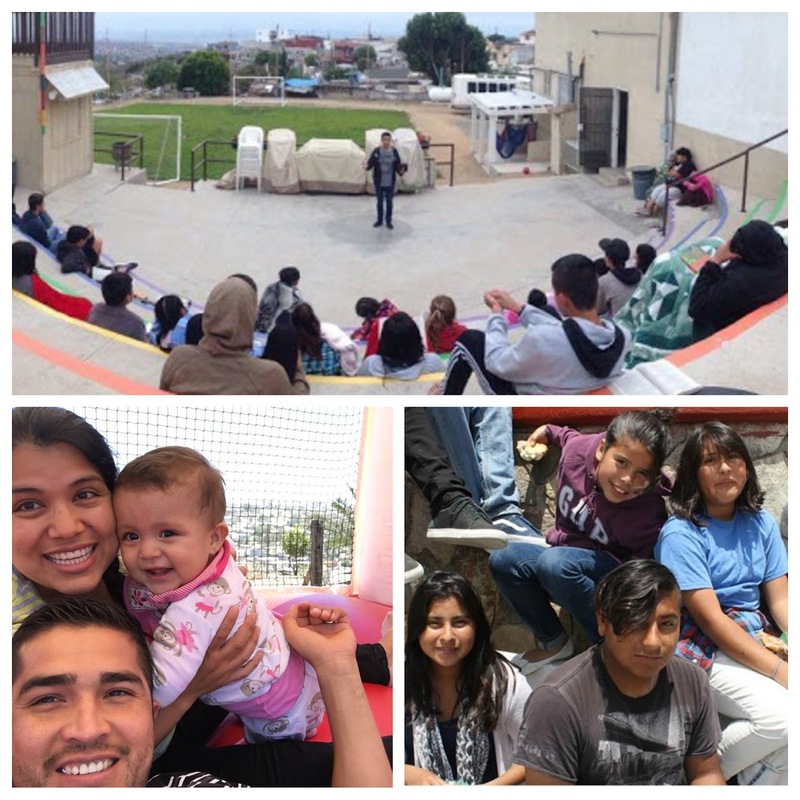 In June of 2016, we went to live at Calvary Chapel Training Center in Tijuana for three months. 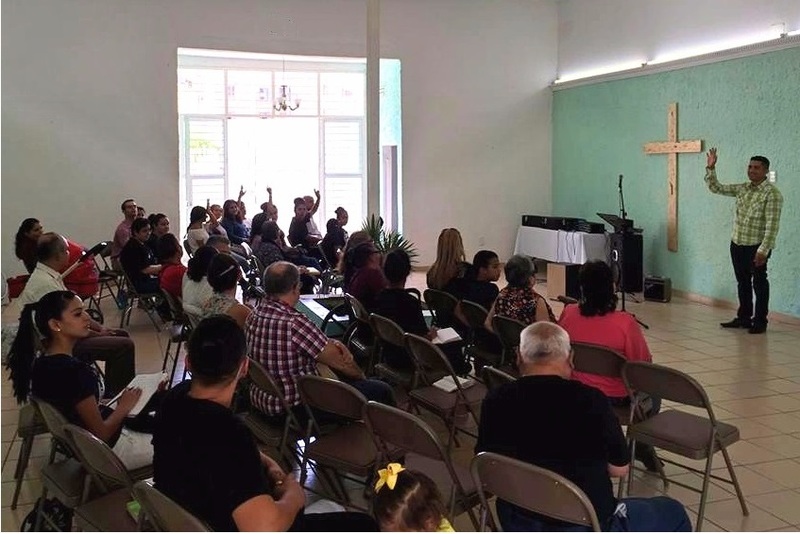 It was an intensive course on church planting. This place was a blessing because we learned many practical things in ministry. We are so grateful for how good God has been with us, and we recognize that every step of faith that we have taken, He has blessed. He has provided our needs and He has taught us to always walk by faith. First Peter 5:7 is so real for me. It says, “casting all your care upon Him, for He cares for you”. Before, I was a woman who was very worried but now, walking in belief that God is all-powerful, my heart is at rest. I can cast my anxiety on Him, because He takes care of my family. 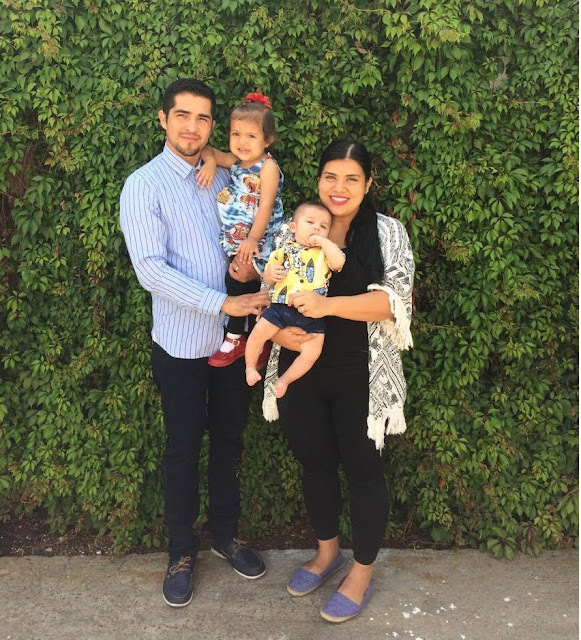 January 1st of this year, 2017, Eduardo was ordained as pastor and we were sent by our beloved church, Calvary Chapel Rosarito, to Guadalajara to begin the work which we are now carrying out. We arrived in the second largest city of Mexico literally with only our suitcases of clothing, and He provided all of our needs. 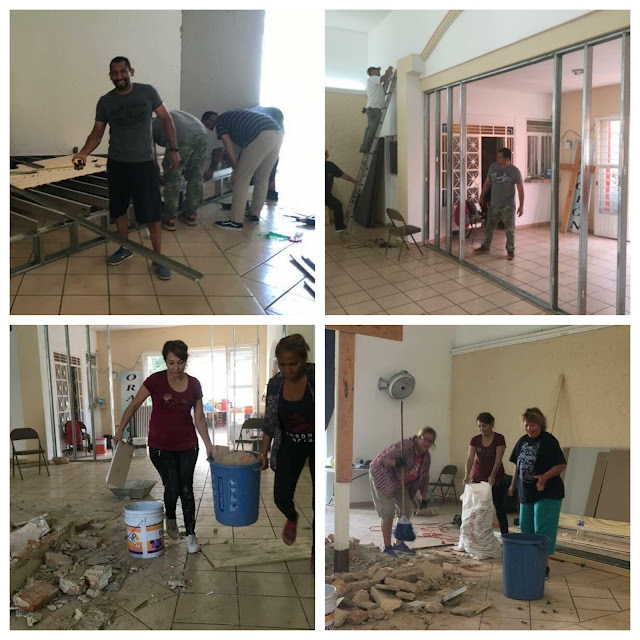 For two weeks, we looked for a house to start the church in (our living room) and God had other plans! --A large venue to begin the church with a small apartment to live in. I love what God is doing. I love that my husband is a pastor because I see the love that for the people and his passion for the Word and above all, his desire that the name of Jesus may be exalted. 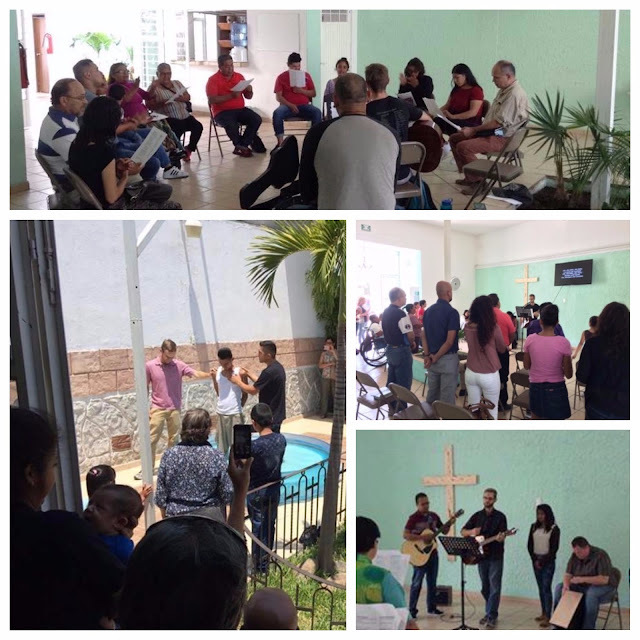 The church is growing little by little and neighbors are coming to hear the message. People are being saved and lives changed –and all thanks to God and for His glory. Six weeks later, the church already up and running, on February 27, our second child, Israel was born. This little one has brought so much joy to our lives. Abigail and Israel are our first ministry. They are the greatest gift and the responsibility we have and we will always be grateful to be their parents. I thought that beginning a church and having two babies to take care of would be something very difficult (and on occasion it is) but the truth is, it’s something beautiful. Two weeks ago, Eduardo was invited to visit a rehab center where he had the opportunity to share Jesus and EVERYONE accepted Christ, even the leaders and the director. Eduardo saw the need to disciple them and he came back one more time and took bibles to give out and taught them more about the Word and he will continue doing every week. 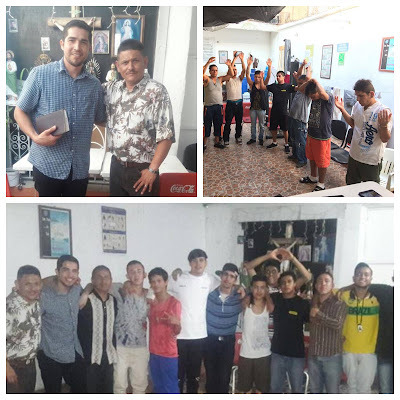 These young men have heard the truth of Christ and are hungry for God. Can you please pray for them? Pray that when they finish their time, they would come and congregate in the church. 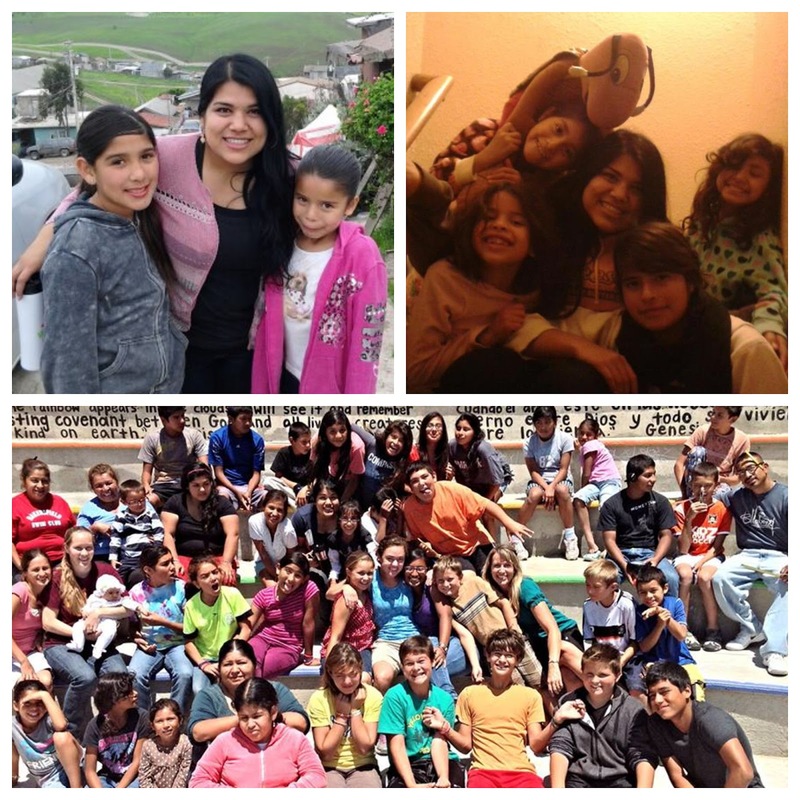 When we were in Rosarito, CCR, I had the blessing of helping in a women’s group and I loved doing it. Teaching, encouraging and getting to know the women of the church more intimately is a desire of my heart. 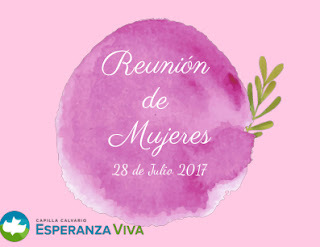 I still have not been able to begin a women’s group because my children require so much care, but I think that the time is getting closer. I am praying and preparing myself to begin our first women’s meeting (coffee break) next month, in July. Can you pray for this project as well? And if you have read until this point, thank you!!! Here we are. 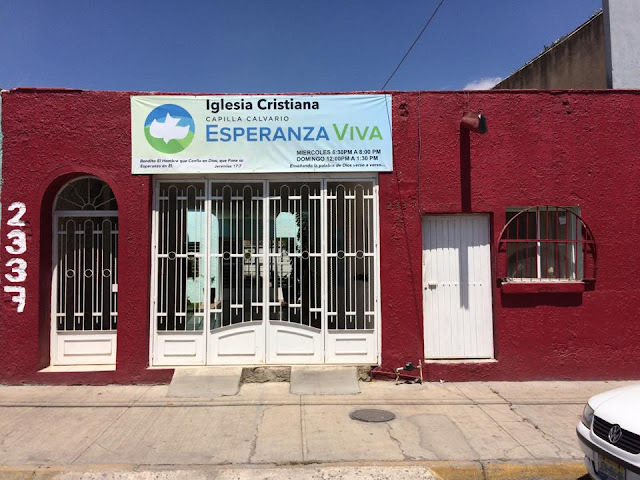 Guadalajara is not a short-term mission; it is our home, the place where God has called us to serve Him knowing that our citizenship is not on earth, and sharing this Living Hope. We want to keep learning the culture and loving the people, sharing the love of Jesus, seeing them grow and mature in their faith and that they would live every day applying the Word of God to their lives. It is an honor to serve Him who gave His life for us. We love you Jesus!!! Thank you so much for your prayers. We know that there are many things to do and souls that need to be saved. We invite you to be part of the work. 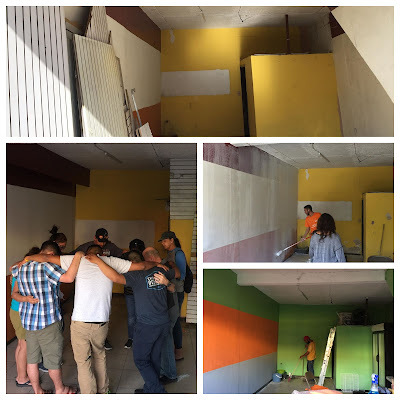 Would you like to help our family economically as missionaries in Guadalajara? 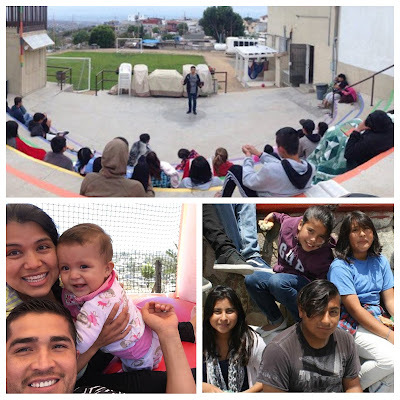 "Calvary Chapel Rosarito" "MEMO Familia Fernández"
Praise God, praying and excited to visit with a team in October!! We are so excited for you and your family! We can't wait to come visit you in October! The first thing I want to share in this update is that God is good.